Powder Tracks Ski Clinic is a unique ski program that makes it easier, faster and more fun to learn to ski Alta’s famous powder snow. Powder Tracks makes it possible for intermediate and advanced skiers to move to the next level of expertise in the shortest time possible. 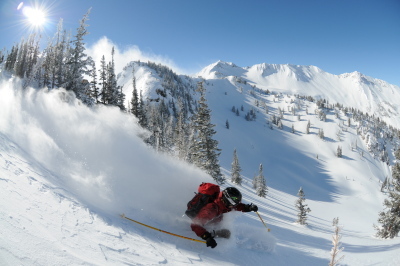 This four-day, all-inclusive clinic features top-of-the-line ski technology, the latest teaching techniques and Alta’s unmatched snow. A stay at the historic Alta Lodge is a highlight of the clinic. Gourmet cuisine, traditional lodge ambiance and a place in front of the fire to tell of the day’s adventures have always made Alta Lodge the best place to be at the end of the day. Ability level: You should be comfortable on blue runs, ready to venture on to ungroomed or steeper terrain. Camp package rates include tax and service charge. Slope-facing and economy rooms are also available. 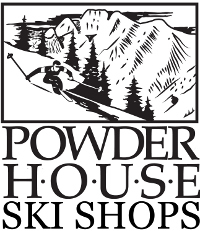 Powder Tracks is a federally registered service mark of Alta Lodge.